Calling all upcoming poets! If you’ve got a poem you’d love to recite and need some help to write better, The Yellow Room is a community that’ll listen in and inspire. If you’re into writing poems and reciting them, The Yellow Room is who should meet with. 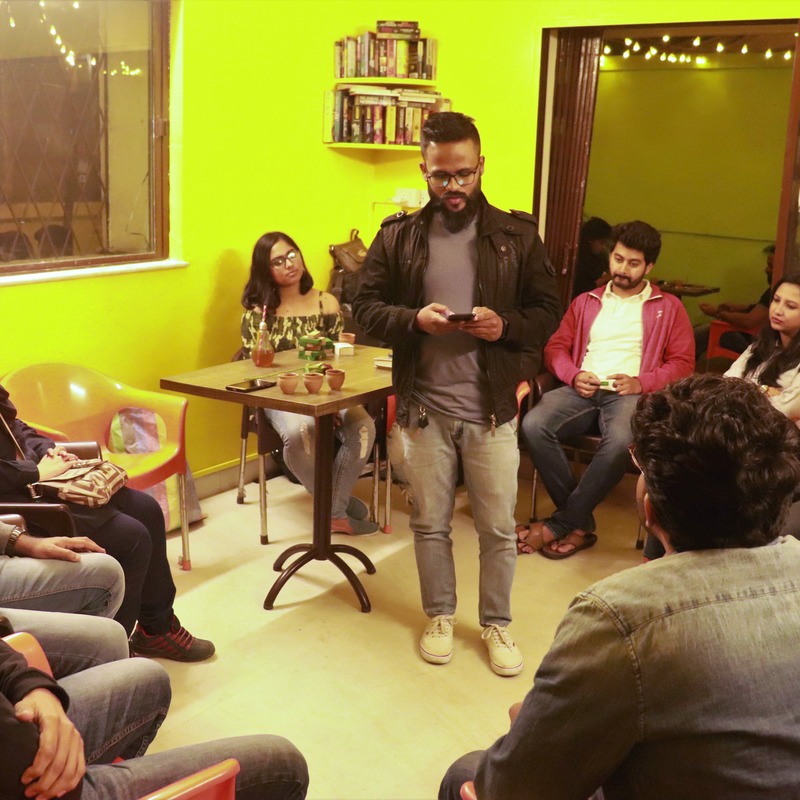 Every Saturday the poetry club meets at Nukkad Cafe in Viman Nagar. The club hosts an open-mic where you can recite a poem in front of an audience, that’s mostly other fellow poets and whoever is present at the cafe at the time. The Yellow Room believes in being more than just an ordinary open-mic. It’s aiming to be a community that works on building their writing, together. The recitations aren’t followed by feedbacks or any judgement, as the idea is to not put down someone’s work. Instead, they aim to be more constructive by hosting activities and games that’ll help you make your writing game stronger. One of the many activities include connecting different blocks to build a story or poem out of. The club brings out blocks that have images on them: emojis to show an expression, stairs, and other such imagery. You can then build a story, poem and set an outline using these blocks. That’ll help you construct and structure your work better and perhaps even inspire. The club meets every Saturday since a year, but are now expanding to different venues to rope in more poets to be part of their growing community. They also meet up at The Book Establishment Cafe on S.B. Road on Sunday afternoons and at Inscape Coworking Space in KP on Sunday evenings. If you’ve been in your shell, this is a safe space to begin reciting poems. You’ll meet other poets and hear them, which will also help you improve, no?